Oh. My. God. The scary thing is, there are many more folks who feel the exact same way, both in Western Europe and here in the U.S. But on the other hand, what do you expect when the popular culture rejects God and Judeo-Christian values? As Dostoevsky wrote, “If there is no God, all things are permissible.” If we tell ourselves that God is not real, then we get to define for ourselves what’s right and what’s wrong. Over the past four decades we’ve snuffed out the lives of over 60 million innocent babies in the U.S. – and used the Owellian labels of “choice” and “reproductive health.” If we can do that without losing sleep, then it won't take much to persuade people that old folks, who have already lived a long time, really ought to get out of the way and stop using up scarce resources. I once wrote a column and predicted that in a few decades I would take my last breath inside a “Kevorkian Klinic,” at the hands of a thoroughly secular young government doctor. 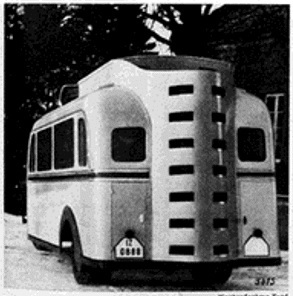 It never dawned on me that the killing Klinic might go mobile, and come looking for me. 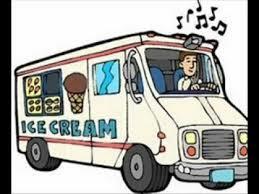 The next time I hear an ice cream truck coming down the street with its bells chiming, I probably won't think the words Ms. Hopkins used: "charming" and "super-keen." I’ll probably cringe and lock my doors. 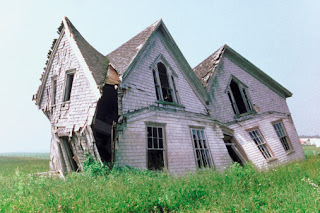 During the last few years we’ve talked about selling our house and “downsizing,” a fancy term that really means, “I am so sick of cleaning and fixing and painting this large building! !” Recently we’ve moved from the discussion stage to the “let’s implement a plan” stage. At first I thought the “plan” would be simple: call a real estate agent, sell the place, and then use the proceeds to buy a smaller house or condo. But then I was informed that there’s an entire process required to prepare the house to be sold. Prepare the house? Hmm, does that mean we talk gently to the house, and assure it that it’s nothing personal, and tell it we’re not leaving because of anything the house said, and we’ll really miss it when we’re gone, and we’re sure the house will make friends with someone new, and stuff like that? Nope. Some of my friends set me straight. The process of “preparing the house” is not an emotional thing, it’s a physical thing, with lots of cleaning and fixing and painting. Let me see if I’ve got this straight. We want to sell our house and downsize because all the cleaning and fixing and painting is getting to be too much for us. But in order to do it, we have to “prepare the house” for sale, which involves doing a decade’s worth of cleaning and fixing and painting, all within a three-month period? That doesn’t sound quite right. And it doesn’t sound very stress-free either. I’d better make sure my life insurance is paid up. There must be someone out there who will offer a decent price for our home — just as it is. It’s not like it’s falling apart. It’s in pretty good shape. Maybe we’ll have to settle for a few bucks less than if we did tons of work on the place, but at least I’ll still be alive to move into our next home. Speaking of the next home, while we’re trying to get our current house ready for sale, we also need to start looking for a new smaller place. 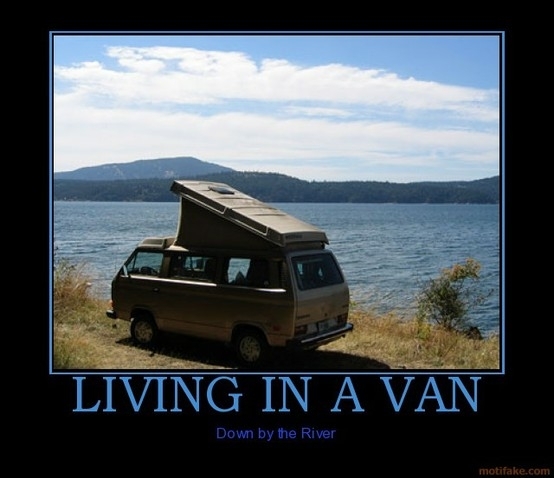 Frankly, if it were up to me, I’d be happy if we bought a used Chevy van, put an air mattress in the back, and parked it under a bridge down by the river. However, I suspect no one else is quite as frugal or adventurous as I am (which is to say, lazy), so we’ll probably narrow our search and look only for a dwelling that has a foundation rather than a chassis. We’re having the house vs. condo debate, too. I kind of like the idea of never having to bother again with lawn mowing, hedge trimming, and snow blowing. But I’m not so keen on the possibility of having neighbors on the other side of a thin wall who enjoy liquor-fueled shouting matches at 2 a.m., or condo associations that keep jacking up the monthly fees as if Governor Malloy were in charge. Well, we started working our “downsizing” plan earlier this month. Every weekend this summer we are spending time doing extra cleaning and fixing and painting. Hopefully by the fall the house will be prepared enough to put on the market. At the same time we’ll start checking out small one-story homes and condos for sale. 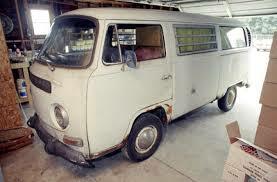 But if things start to get too stressful, I might stop by the Chevy dealer and look at used vans. I hear there’s a nice quiet spot to park it down by the river. A couple weeks ago I discussed the situation here in the Hartford Archdiocese and in my local parish. In a nutshell, we are struggling. Mass attendance has plummeted in recent decades, and as a result, donations also have plummeted. Which means many parishes and other Catholic operations are in real danger of shutting down. Because the situation is so dire, I said our only response is to rejoice. And not surprisingly, I received a fair amount of feedback, asking whether I’ve lost my mind, or started drinking again, or both. When Jesus founded the Church 2,000 years ago, He specifically said “the gates of Hell shall not prevail against it.” This means the Church cannot fail; it cannot collapse; it cannot and will not disappear from the face of the earth. Jesus promised that He will never let that happen. So, I said this fact should give us confidence and help us to stay optimistic even when Mass attendance and parish finances are gloomy. However, if I gave the impression that everything is peachy keen and there’s no pain and heartache as a result of the current situation in the Church, then I apologize. I was in no way trying to say we can dismiss our problems as trivial, and simply sit back complacently and wait for Mass attendance to swell right before our eyes. The fact of the matter is: there is plenty of pain and heartache as a result of our current situation. Much of the heartache comes when historic parishes flounder financially and then finally shut their doors for good. It’s no fun when the church built by your great-grandfather’s generation—the place where all your loved ones over the years have been married and buried—is shut down, sold off, and turned into, say, a community rec center owned by the city. The real pain and heartache, though, is not financial; it’s spiritual. On any given weekend here in the Hartford Archdiocese, Mass attendance is 250,000 people FEWER than in 1967. This is a quarter-million people who have drifted away from Jesus’ Church. This is a quarter-million people who no longer receive Christ in the Eucharist. 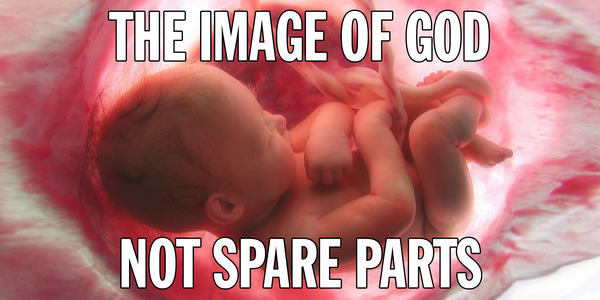 This is a quarter-million precious souls whose eternal fate is now in jeopardy. 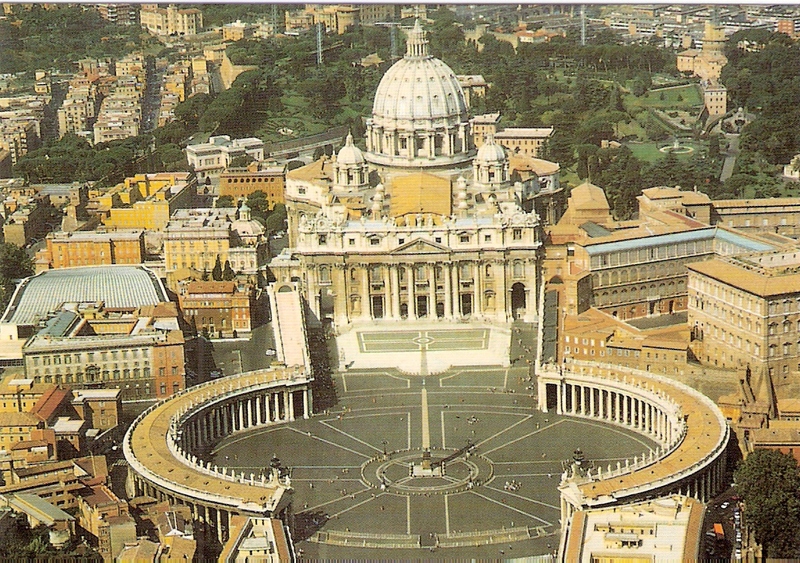 After all, why does the Catholic Church even exist? That’s simple: to make saints and get souls into Heaven for all eternity. Those who decide they’ll somehow make it to Heaven while ignoring Jesus’ Church and the grace-giving sacraments He instituted, are taking a big gamble, a gamble with eternal consequences. So yes, even though Jesus promised that the Church will be victorious, He never said there would be no casualties. The current situation is indeed grim. To be blunt about it, the present state of affairs in our Church is causing countless precious souls to end up in Hell. This fact is quite sobering. Despite all this, we still can and should rejoice. First, we should rejoice because the Lord promised that His Church ultimately will flourish, and that’s very comforting knowledge. Second, we should rejoice because confidence and optimism are traits that will attract people to the Church once again. I mean, who wants to return to a place where the parishioners are a bunch of hand-wringing sad-sacks? We can rejoice—while at the same time knowing that victory will be won only after a long and grueling struggle. 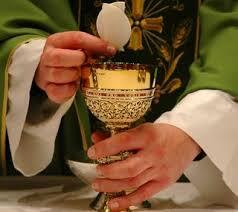 I am grateful that Jesus Christ is really present – body, blood, soul and divinity – in the Eucharist at Mass. That’s it. I don’t really want to say anything else. It’s a blessing of cosmic proportions, and I am grateful. The senior director of medical services at Planned Parenthood was recently caught on video eating a salad and drinking wine while matter-of-factly describing the best way to crush babies during an abortion in order to harvest intact hearts and lungs and livers—all to maximize profits when those body parts are sold. In the wake of this startling video, the president of Planned Parenthood, Cecile Richards, apologized for the doctor’s tone. Wait. What?! It was the TONE that was wrong in the video? Dismembering babies was not the problem? Harvesting organs from infants was not the problem? Selling those organs for profit was not the problem? Violating federal law was not the problem? Being a modern day Dr. Mengele was not the problem? The problem was the TONE? Sheesh. You know what’s almost as sad as the murder of infants? The fact that you probably didn’t even hear about this story, since the mainstream media has completely buried it. When it to comes to the secular sacrament of abortion, the media simply will not do negative stories. Also, it’s sad that ultimately nothing will change. Planned Butcherhood will continue to receive hundreds of millions of dollars in tax-payer money; politicians like President Obama and Hillary Clinton will continue to proclaim that Planned Butcherhood is a wonderful organization; and the organization’s founder, Margaret Sanger, will not be vilified for her disgustingly racist views. If only she had been a Confederate general. A question for Ms. Richards: if unborn babies are mere “clumps of cells,” how can you sell intact hearts and livers? Even though I butcher the English language on a regular basis, it is not my second language; it is my ONLY language. This is too bad, especially since I stumbled across a delightful list of foreign words and phrases on the Mental Floss website. Wouldn’t it be great if we could incorporate some of these expressions into our everyday speech? Mencolek – an Indonesian word that describes the old trick where you tap someone lightly on the opposite shoulder from behind to fool them. I’ve never heard this behavior described with a single word, but I have heard the person doing it described with a single word, which cannot be printed in this family newspaper. Tartle – in Scotland this word means that panicky hesitation just before you have to introduce someone whose name you can’t quite remember. Maybe we could merge this word with an American phrase that sort of means the same thing and has the same “art” sound to it: Brain Tartle. Seigneur-terraces – this French expression describes coffee shop dwellers who sit at tables a long time but spend little money. Hmm, this phrase seems too tame. I bet French waiters use completely different words if the dawdling, cheapskate patrons are American, none of which can be printed in this or any Parisian newspaper. Shemomedjamo – this is a Georgian word. (I’m pretty sure it’s the Georgia over near Russia, not the other Georgia just north of Florida, where they also do not speak English.) This word describes the feeling you get when you’re really full, but your meal is just so delicious, you can’t stop eating it. The word literally means, “I accidentally ate the whole thing.” Hmm, when I get that same feeling, I really can’t include the concept of accidentally, since it’s quite deliberate. Ya’arburnee – an Arabic expression, where a person declares that he hopes he will die before a loved one dies, because he could not stand to live without that loved one. It literally means, “May you bury me.” I assume it’s understood that the burying part should not occur immediately. That would be awkward. Packesel – A packesel is the person who’s stuck carrying everyone else’s bags on a trip. Literally, it means a burro. Backpfeifengesicht – I have no clue how to pronounce this, but in German it means: A face badly in need of a fist. Oh, those wacky and fun-loving Germans! Kummerspeck – This word alone makes me want to learn German. (But first maybe I should learn English?) It describes excess weight gained from emotional overeating, and the literal translation is: grief bacon. Grief bacon! What an awesome idea! 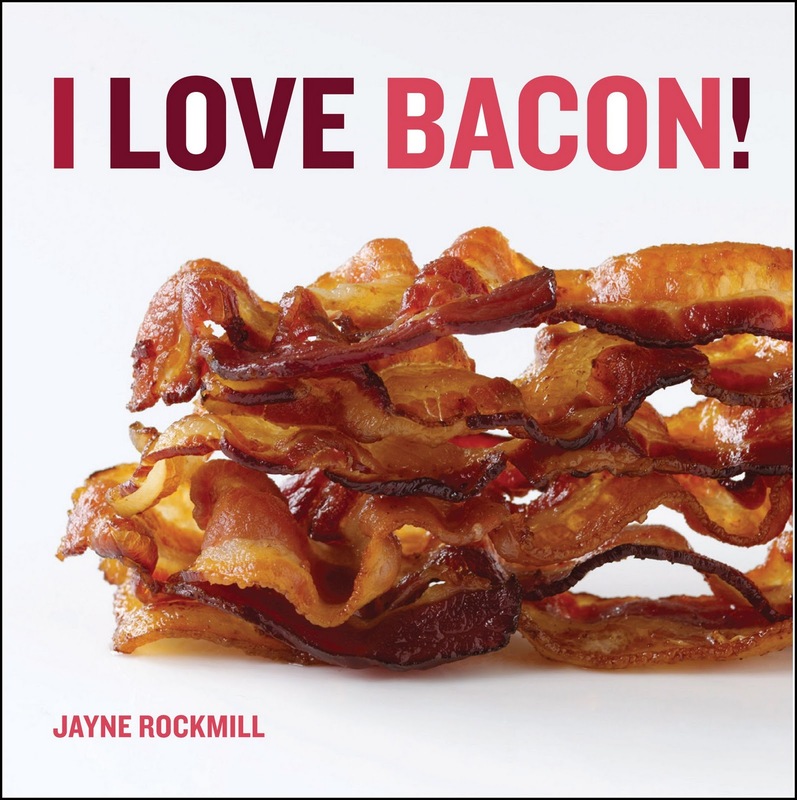 We could combine phrases here, in a trilingual expression of joy: “Ya’arburnee Shemomedjamo Kummerspeck!” This means: May you bury me, but not until I’ve accidentally eaten all the grief bacon! Jerry Francis had hoped to arrive at Jesus’ tomb before sunrise. But it took two full hours of begging and pleading to convince Benjamin to join him, which in Jerry’s mind wasn’t so bad compared to the eight hours he had to plead with Benjamin on the previous day, Saturday, to remain in Jerusalem. After witnessing Jesus’ death by crucifixion on Friday, and then stumbling into Judas Iscariot’s dead body, hanging from a tree limb on a hill just outside the walls of the city, Benjamin was convinced the Romans were rounding up all the Zealots, the Jewish patriots who wished to drive the hated Roman occupation forces out of Israel. Benjamin insisted that leaving Jerusalem right away and hiding in a rural village would be the best way to avoid being arrested. Jerry pleaded each time for Benjamin to stay. It’s not that Jerry had firm plans about what they should do. He still had no idea about how or why he had been transported twenty centuries into the past. If he was destined to spend the rest of his life trapped in ancient Israel, he figured his best bet would be to stick close to the one man who treated him as a comrade. But he really had no clue about what they ought to do in the coming days and weeks. There was only one specific plan he felt very strongly about: he desperately wanted to see Jesus’ tomb on Sunday morning. So Roman soldiers or not, Benjamin’s paranoia or not, Jerry was determined to re-visit the tomb on Sunday morning to see for himself if the central claim of Christianity for 2,000 years did indeed occur. Jerry was able to detain Benjamin for a while on Saturday by reminding him that it was the Sabbath, and very few people would be out on the streets. If the Roman were looking to arrest Zealots—something Jerry emphasized was probably not the case—it would be hard for Benjamin to blend in with the crowds, as there would be no crowds. Still, by mid-afternoon on Saturday, Benjamin insisted he really was going to leave this time. Just as he finished bundling up his few possessions, someone knocked on the door. “It’s me, Simon,” a voice said. Benjamin unbundled his belongings and flopped onto the floor with his back against the wall. “So we just sit here and wait,” he said with a frustrated voice. Then he turned his head and spit across the room for emphasis. Simon waved good-bye and slipped out the door. Jerry said a silent prayer of relief, thanking Simon for coming and convincing Benjamin to stay. Now it was Sunday morning. Jerry and Benjamin went out the city gate and scrambled down the rocky hills toward the cemetery. As they traveled Benjamin grumbled that he couldn’t believe he was doing something so stupid—and dangerous. “You are as annoying as my brother!” Benjamin said to Jerry. “What? What did you say?” Jerry asked. “Never mind,” Benjamin muttered, as the two men continued their journey. When they reached the massive rock where they had discovered Judas’ hanging body, the corpse was no longer there. The low hanging branch had broken away from its tree trunk. The two men carefully stepped toward a nearby ledge and peered down. About a hundred feet below they saw a body dashed against rocks, its neck still connected by a rope to a tree branch. Scavenger birds feasted on the bloody remains splattered on the rocks. The men winced and then moved on. When they finally reached the cemetery, Jerry scanned the landmarks to make sure it was the correct gravesite. It was definitely the same place, but things were much different than the last time they had been there. The huge stone had been rolled back up the incline. “Ten men would be needed to move it uphill,” Benjamin said, his annoyance about being dragged to a graveyard now replaced by curiosity. Scattered on the ground in front of the tomb were various articles of equipment abandoned by the Roman soldiers. “They must’ve left in a big hurry,” Benjamin noted as he picked up and admired the finest sword he had ever held. Suddenly, they heard the sound of hurried footsteps behind them. “Someone’s coming,” they said in unison and quickly hid behind a row of thick shrubs. They saw a man run up to the open tomb and peer inside. A minute later, another man staggered along, barely able to catch his breath. This man moved past the first man and ducked inside the tomb. After hesitating a moment, the first man also went inside. They both emerged finally, with looks of sheer astonishment on their faces. “I bet the big guy is the fisherman,” Jerry whispered. He stepped out from behind the shrubs before Benjamin could stop him. “Excuse me, are you Peter?” Jerry called out. The two men were startled by his voice. Then they stepped backward in fear when Benjamin appeared clutching the Roman sword. “That Jesus is alive!” Jerry interrupted. “Just a hunch,” Jerry replied, as a feeling of excitement and amazement welled up in his chest. “Have you seen him yet?” he asked. Jerry walked toward the men and stuck out his hand. “I’m Jerry, uh, Jeremiah. And that’s my friend, Benjamin.” The men cautiously shook hands. Jerry learned the other man was named John. “Hang out?” John asked with a puzzled look on his face. Peter and John hesitated, but then agreed. The four men left the cemetery and headed for the house where the other followers of Jesus waited anxiously. “Um, I never thought about that,” John answered. Wow, have you ever been confronted with these questions by a friend or co-worker or, most zealous of all, a family member who USED to be Catholic? How do you respond? Is it really true that we Catholics believe in a place of torture called Purgatory, but it’s actually just a fairy tale? First, regarding whether the word Purgatory appears in the Bible, it’s true that it is not there. However, other words and phrases also are not in the Bible, such as: “Bible,” “Trinity,” “Easter,” “Incarnation,” and one of the most beloved Christian concepts of all time, “Pot-luck supper.” (Well, at least it’s beloved by me.) If our sole litmus test is that a word must appear in the Bible, then a lot of key doctrines and long-standing traditions would be right out the window. Even though the word Purgatory is not in the Bible, its existence can be deduced from Scripture. First, the Bible is clear that only people who are pure and holy will get to Heaven. “Nothing impure will ever enter [Heaven]” (Rev. 21.27). “…without holiness no one will see the Lord” (Heb. 12:14). Next, some sins can be forgiven after death. Jesus said, “…anyone who speaks against the Holy Spirit will not be forgiven, either in this age or in the age to come” (Matt. 12:32). The Bible also indicates there is some kind of third possible destination after death, which is neither Heaven nor Hell. “[Jesus] was put to death in the body but made alive by the Spirit, through whom also he went and preached to the spirits in prison who disobeyed long ago” (1 Peter 3:18-20). Finally, in 1 Corinthians, chapter 3, St. Paul alludes to our earthly works being tested, as by fire. Read the chapter for yourself. Essentially he says if someone’s earthly works do not meet the test, they will suffer loss, but will be saved, as if escaping through flames. Hmm, very interesting. Paul never uses the word Purgatory, but it sure sounds like he’s describing it. Another fascinating tidbit: in the catacombs in Rome, requests to say prayers for deceased loved ones are etched into the subterranean walls. These etchings date back to the 1st and 2nd centuries. If someone’s soul is in Heaven, he has no need for prayer. If his soul is in Hell, no amount of prayer will do any good. Offering prayers for the dead only makes sense if there really is some kind of intermediary state on the way to Heaven, a place where we can be purified before entering into the Lord’s eternal kingdom. Catholics call this Purgatory, and it’s been the Church’s belief and practice from the very beginning. Speaking personally, I trust in the Lord. I put my faith in Jesus many years ago and I’ve tried to follow Him ever since. I’m a lot better than I used to be, but the truth is, I’m definitely not pure and holy—not even close. If I drop dead at this moment, well, if that happens, then this essay will end rather abruptly. What I mean is, if I die today, I am not ready to see the Lord face to face. I first need to have my ingrained selfishness and bad attitudes scrubbed away from my soul. I first need Purgatory. Just because some clergy abused the doctrine of Purgatory centuries ago as a fund-raising scheme, does not invalidate the doctrine. Purgatory can be gleaned from Scriptures, and most of all, it makes sense. The U.S. Health and Human Services Department (HHS) is currently conducting a scientific study titled, “Sexual Orientation and Obesity: A Test of Gendered Biopsychosocial Model.” To date, this study has spent $3.5 million taxpayer dollars. When you get past all the fancy words, the basic purpose of this study is to determine why lesbians are more obese than heterosexual women. Wait. What?! The government is spending millions of dollars to determine why lesbians are fat?! Are you kidding me? I don’t know if anyone has noticed, but the federal government has racked up a national debt in excess of $18 trillion. (That’s trillion with a “T”!) On the one hand, you could make the case that a mere $3.5 million to the government is like couch cushion change, since Washington spends approximately $400 million per HOUR. On the other hand, though ... obese lesbians? REALLY?!! Here’s my analysis: if you’re not concerned about being sexually attractive to men, you’re less likely to worry about your weight. Mystery solved. And I’d only charge the government $2 million for my scientific insight, saving the taxpayers a lot of dough. Now, what other stupid things is Uncle Sam wasting money on? No, everybody already knows what the beach is like, and my essay is not going stop anyone from visiting. 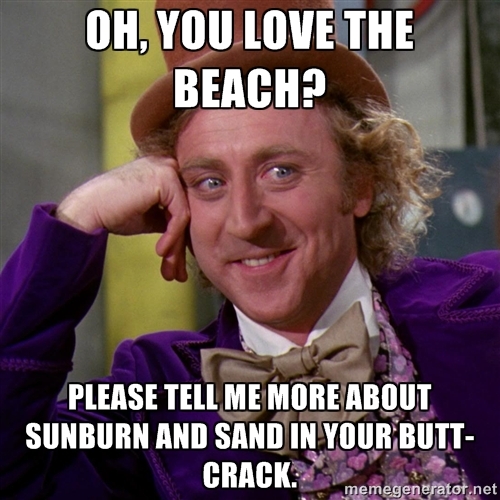 And besides, it’s not like I was bashing the beach. Mostly, I was bashing my ancestors, who gave me this pale and fragile skin, which doesn’t do well at the beach. I like the beach fine, but my skin doesn’t like it very much at all. I would be perfectly happy to go to the beach and just leave my skin at home, but that would probably leave a stain on the seat of my car. As I mentioned last week, my wimpy skin burns easily and starts to chafe at the mere thought of getting sand in my bathing suit. Since the unhappy emails I received are making me a little defensive, I’m compelled to bring out the big guns. So here goes: I’ve already had skin cancer three times. There, now don’t you feel bad for criticizing me? On those rare occasions when I do visit the beach, I spend most of my time doing two things: taking bets on which part of my body will blister first, and searching for shade. But in case you haven’t noticed, the beach is noticeably lacking in maple trees (not to mention opera houses and petting zoos). So I visit the snack shack a lot, which has a small overhang that gives some relief from the sun. The kid behind the counter says, “That will be $3 for ANOTHER Snickers bar, sir, and $9 for five minutes of shade.” I willingly pay. By the way, tomorrow, July 16, I will be in the Republican-American booth during Torrington, Conn.’s downtown Marketplace street fair. 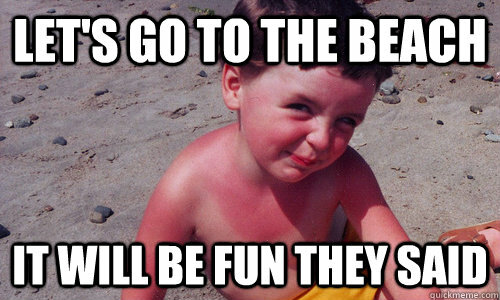 Stop by and share your favorite beach adventures, both the bad and the REALLY bad. The most interesting stories will appear in a future column! Church In Trouble? Then It’s Time To Rejoice! A couple months ago my Archbishop listed some sobering statistics in the archdiocesan newspaper. He compared the current activity here in the Hartford Archdiocese to what was happening back in 1967. 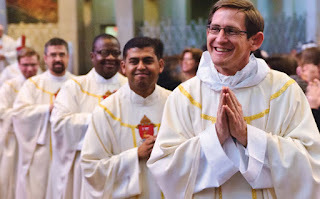 Here are the stark facts: there are 68-percent fewer priests now than there were in 1967; 82-percent fewer seminarians; 76-percent fewer students in Catholic schools; 84-percent fewer church marriages; and finally, 65-percent fewer people attending Sunday Mass nowadays compared to approximately five decades ago. In our modest-sized Archdiocese, that percentage translates into a jaw-dropping quarter-million people who are NOT at Mass anymore on any given weekend. Wow, those figures are indeed sobering. About a week after this information was published, my own parish held an emergency finance meeting open to all parishioners. The basic topic of the meeting was this: our parish has been identified as “unsustainable,” which means at our current pace we will be bankrupt in a couple years. The facts are undeniable: Mass attendance has dropped steadily during each of the past five years, and not surprisingly, donations to the parish have dropped each year, too. We are in a bad way, and I’m quite sure countless other parishes and dioceses across the United States face similar situations. However, as Catholics, when we learn about these dire statistics, there is only one proper response: we must rejoice! Wait. What? Did you just say rejoice? Helloooo! Anybody home?! How can you say that, Bill? The Church is about to collapse, and you say we should rejoice? Did you start drinking again? Calm down, I did not start drinking again. Let me explain. First, I’m not rejoicing because I am secretly an atheist social engineer who thinks the Church is standing in the way of my Marxist utopian plans to transform the culture. No, I am rejoicing because the Catholic Church is the only institution in the history of the world that has been given a divine guarantee of success. In Matthew’s gospel, chapter 16, Jesus instituted the Church. He named Peter the “Rock” upon which the Church would be built. Then Jesus said this about the Church: “The gates of Hell shall not prevail against it.” This is a clear promise from Our Lord that the Church will survive, no matter what. 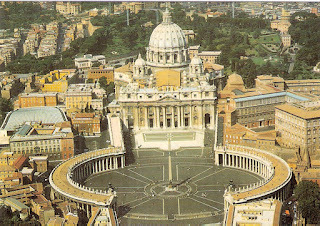 It is important not to lose sight of the “big picture.” The Catholic Church is not just a Connecticut organization, and it has not existed for only the last 50 years. The Church is a worldwide organization and it has existed for 2,000 years. Over the centuries the Church has faced many dire situations, some far more frightening than what we see in our local communities today. The Church may be struggling right now in parts of the U.S. (Europe is worse, by the way), but the Church is growing like crazy in other regions of the world. Even though we seem to see nothing but problems all around us, we can be confident the last chapter of the story has already been written by God. And in that final chapter, the good guys win! God’s Church will be victorious. Keeping this fact in mind helps us to avoid getting discouraged as we engage in the daily struggle to keep the faith and stand up for the truth in a secular and cynical society. Keeping this fact in mind helps us to be optimistic, even when Mass attendance and parish finances are gloomy. God’s Church will be victorious. Christ gave us that sure promise. So the only proper response is to rejoice! A survey was conducted recently by The Newseum organization, to determine how well average Americans understand exactly which freedoms are protected by the First Amendment. Nineteen-percent of respondents knew the Amendment guarantees the freedom of religion. Wait. What?! Only 19 percent?! You mean that less than one in five Americans know freedom of religion is guaranteed by the First Amendment?!! 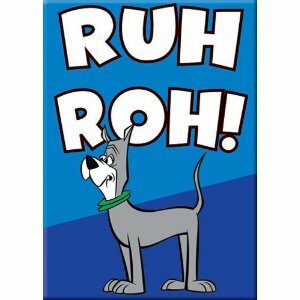 Ruh roh, Rorge, we’re in trouble! In recent years certain politicians, who don’t particularly like it when people are motivated by strong religious faith—that is, the pols who usually have a “D” after their name—have employed a subtle change in language. Instead of referring to our constitutional right of “freedom of religion,” they now say, “freedom of worship.” In other words, people are free to worship anyway they want, inside their particular church building for an hour on Sunday morning. But they’d better not bring those religious values out in the open the other 167 hours each week. 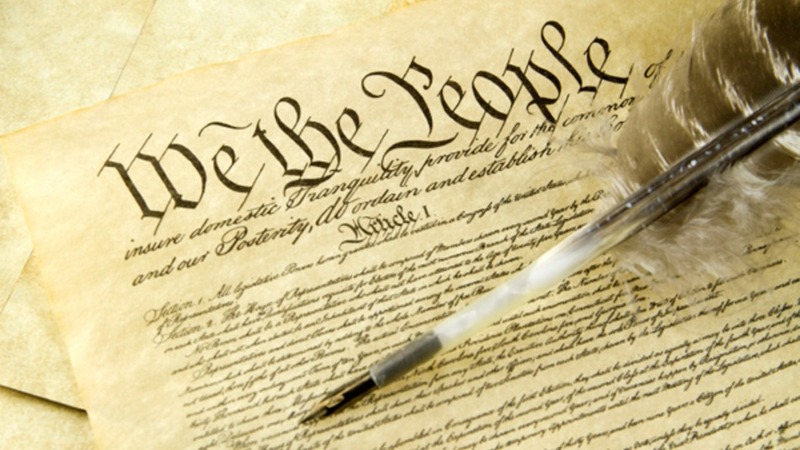 If less than 20-percent of citizens know what the first and foremost Amendment actually says, then it will be easy for politicians and/or judges to restrict religious beliefs in public life. When 80-percent of the population has no clue what rights are guaranteed in the Constitution, stomping on those rights will be a piece of cake. And speaking of cake, it seems Christian bakers and wedding cakes are the initial flash-point in this conflict. Just wait, it won’t be long before churches and clergy are sued for not performing weddings. There’s an old expression that I’ve heard in churchy circles for decades: “If it were against the law to be a Christian, would there be enough evidence to convict you?” This has always been a rhetorical question meant to encourage people to live out their faith with a bit more boldness. No one ever took it literally. But the way things have changed in this country in just the last few years … Ruh roh! Jerry Francis stood nervously in the middle of the large and agitated crowd. The Roman governor appeared at the top of a large stone platform and spoke. “Which of the two do you want me to release to you?” he shouted. Jerry hung his head in sadness. Despite the fact he never paid much attention during his youthful catechism classes, he knew what was going to happen. It was futile at this point; Jesus was going to be crucified. The sound of the crowd increased to a steady roar. Over the din Jerry heard the rhythmic crack of a whip. A few minutes later the crowd shifted as a squad of soldiers emerged from the gate, escorting a frail prisoner who struggled under the weight of a large wooden beam. “C’mon, Benny, let’s follow,” Jerry said. There is no doubt that Jerry Francis desperately longed to be home, back in his comfortable middle-class house in Hamden, Connecticut, in the 21st century, with his wife Brenda and children Michael and Jennifer. For five consecutive days Jerry woke up in the morning expecting to smell fresh Dunkin Donuts brand coffee brewing in his kitchen. But for five consecutive days the first things Jerry’s nostrils detected in the morning were the smells of hay, urine, and body odor. Then in an instant all the sights and sounds and fears flooded back into his brain. Oh no, Palestine. Ancient Jerusalem. He was still stuck in his unexplainable nightmare. How did it happen? Why did it happen? Jerry asked himself those questions a couple times each hour, far less frequently compared to earlier in the week. If he was destined to be stuck “here,” in the middle of an historic time and place, he was determined not to miss it. He wanted to see each event—events he had suspected for most of his adult life were nothing more than folk legends—with his own eyes. They continued to observe from a distance. The procession went out one of the city gates and followed a winding path down a steady incline and then upward to a small rocky hill. Jesus and two other men were stripped of their robes and nailed to their crosses. When Jesus’ cross was raised up into the air, Benjamin said flatly, “He’s as good a dead now. No one ever survives a Roman crucifixion.” Jerry could not remember feeling as sad as he did at that moment. 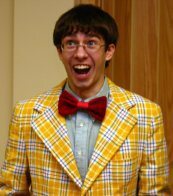 As each torturous hour passed, Jerry was amazed that events were occurring just as his childhood catechism classes had described, and just as his wife Brenda had tried to explain on many occasions. Jerry cringed at the thought of how rudely and sarcastically he always responded whenever his wife tried to talk about her faith. All the while Benjamin fidgeted incessantly, baffled as to why Jerry wanted to stay and watch. “What in the world for? !” Benjamin said. Careful to keep their distance, Jerry and Benjamin followed a small band of people to a nearby cemetery. The group consisted of an elderly, well-dressed man who led the way; two young men, apparently servants, who carried Jesus’ body; and about a half-dozen weeping women. Daylight was fading fast. The two men walked away briskly, hoping to get back inside the city walls and reach the squalid boarding house before dark. Benjamin suggested a short cut. They would have to climb up some steep hills and rocks, but they could get to the gate much more quickly than following the meandering path. Jerry agreed and they set out. Short, gnarly trees poked out of the steep hill. Jerry and Benjamin grabbed the trunks and branches of these trees to assist their climb, especially when their sandals slipped on the loose dirt and gravel. When they were within 50 yards of the city gate, they climbed up to a small plateau and then walked around a massive boulder. Just as they reach the back side of the boulder, Jerry and Benjamin flinched and stopped short. They had almost walked directly into an unexpected object swaying gently in front of them. It was almost sundown and everything was in shadows. The two men stepped back and looked up to try and figure out what was in their path. Jerry blurted out, “It’s a man! Hanging from that tree!” The lifeless form was connected by a short rope, with one end around a low branch and the other end around his neck. The man’s feet dangled about four feet off the ground. Jerry felt as if he was about to vomit. Except for wakes and funerals, he had never seen an actual dead body before. Now in the past few hours he had seen four, two of whom he felt like he had known personally. “Come on, let’s get out of here,” Benjamin said forcefully. The two men began to jog the final distance to the city gate. Jerry’s mind raced with a million thoughts. Yeah, that’s right, he thought, Judas committed suicide after betraying Jesus. Now I remember. The sadness he felt after watching Jesus die was now compounded by the sadness of finding Judas dead. Jerry also felt guilty. He had wanted to stop Judas from betraying Jesus, but because he didn’t know the details of that historic week he had been too late. They both would be alive if I had gotten to Judas in time, he thought. The next 2,000 years of history could’ve been so much different if I had stopped all this from happening. “How do you know?” Benjamin demanded. Jerry lay on his straw bed staring straight up at the ceiling. He felt exhausted, but the events of the day continued to race through his mind. He kept seeing Jesus’ penetrating eyes and hearing his voice say, “Jeremiah, believe in me.” Jerry didn’t feel like he would ever fall asleep. But he knew he needed to rest up for the next day, which would be a very challenging day. And Jerry’s biggest challenge would be how to convince Benjamin to stay in Jerusalem for yet another night and then return to the same cemetery on Sunday morning. July Is Beach Season! Yippee! Hooray! 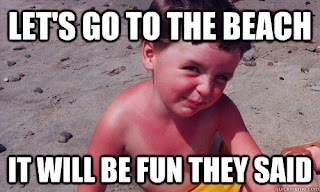 It’s July and my family wants to take me to the beach! I know it’s time to visit the shore because it’s been over nine months since I’ve had any skin irritations. But now it’s finally summer, so let’s go to the beach! Yippee! Here is how much my skin enjoys going to the beach, starting from the top and working down. Neck — I’ve never lived any further south than Connecticut, but the shade of crimson my neck turns when I just THINK about going outside on a sunny day qualifies me as an honorary member of the Sons of the Confederacy. Torso — This is the safest part of my body because I never, ever take my shirt off at the beach, even when frolicking in the surf or taking a shower. With my shirt off, I look like the Pillsbury Dough Boy’s twin brother, except a tad whiter (and wider). Another reason why I leave my shirt on is because it’s not right for a middle-aged man to cause little children to cry. Nether regions — This is another area of my body that is not in danger of getting sunburned, but that’s not to say it’s free from the joys of beach-induced skin irritation. The mesh lining inside a man’s bathing suit has been specially designed by NASA to capture and retain the maximum quantity of salt, sand, and seaweed. It’s an amazing achievement of science. Walking around the beach all day with a bathing suit filled with abrasive compounds is one of the highlights of summer. Sometimes during the winter, when I wistfully long for the warmth of July, I’ll sprinkle some salt, sand, and soggy lettuce into a pair of jockey shorts, and then walk around the house until I’m thoroughly chaffed. Mmm, delightful! Legs — No matter how many quarts of sunblock I apply to my legs, I always seem to miss a spot on the back of my knee. So by 5 p.m., that one little spot feels like it was pressed against a waffle iron. Also, the legs are the part of the body targeted most often by mosquitos, sand fleas, and those cuddly green-headed horse flies. Feet — If you wear socks and shoes every day for months on end, the bottom of your feet become as tender as a piece of veal. This means if you walk barefoot on plush carpeting, it will hurt. And if you walk barefoot on hot sand, pebbles, and shells, the pain will cause your feet to file a lawsuit against you for cruel and unusual punishment. This is why I have to wear socks and sneakers when I go to the beach. Combined with the floppy hat, baggy shirt, and gallons of sunblock, the socks and sneakers are the crowning touch, which is why I’ve won the Beach Dork of the Year award seven years in a row. So, the beach season is finally here! I’ve got my hat, shirt, sneakers, bathing suit, and 55-gallon drum of sunblock ready to go. When do we leave? At minimum, I would require: cash, credit cards, snacks, sunglasses, bug spray, bottled water, snacks, road maps, iPhone, flashlights, first aid kit, snacks, raincoat, umbrella, toothbrush, extra clothing, GPS, batteries, laptop computer, and just in case, extra snacks. And of course, if we were going to be away overnight, I would need a lot MORE stuff. What was Jesus thinking sending those guys out with nothing but the tunic on their backs? It’s almost as if He was expecting them to trust in God for all their needs. What a weird concept. Trust in God? Who does that nowadays? Yes, we trust in God, generally speaking, but what about the real world? What about today, tomorrow, and next week? There are real problems to deal with here. The mortgage is due, the job is stressful, the car is making a funny noise, the teenager kids have green hair and half a hardware store piercing their various body parts, and a sharp pain just below the ribcage keeps waking you up in the middle of the night. You know what I mean, real problems. One of the main themes of Scripture is that God helps those who are helpless and who trust totally in Him. This is a completely foreign concept to modern Americans. We need to be in control and have all the bases covered. Apparently, trusting God wasn’t a problem for Jesus’ disciples since they went out on their merry way—without ANY supplies—and had a very successful journey preaching in the countryside. So what is Jesus trying to tell us this week, sending the guys out two-by-two but without any supplies? It’s simple: we must trust in God and assist one another. He didn’t send them out alone. He sent them out in pairs so they could help and encourage each other. This is the exact opposite of what we do. We don’t trust in God and we depend only on ourselves: the quintessentially American “Lone Ranger, John Wayne, I did it my way” mindset. One of the mottos of Alcoholics Anonymous is, “Let go and let God.” One of the hardest things in the world is to admit we can’t do everything ourselves and we need God’s help. But if we are able to take Jesus at His word and trust in Him for everything—even the here-and-now everyday stuff—our lives will be transformed and our journey will be successful. And it probably couldn’t hurt to bring along a few extra snacks. 40th High School Reunion! So Soon?